Four newspaper issues from important dates in the Dreyfus Affair. * L'Illustration Journal Universal from February 12 1898 - Émile Zola in the courtroom. * L'Illustration Journal Universal from August 19 1899 - after Dreyfus was found guilty under extenuating circumstances and sentenced to ten years imprisonment - Lavoro's breakdown (he was a controversial figure in relation to Dreyfus). * L'Illustration Journal Universal from July 8 1899 - Dreyfus on the boat on his way to imprisonment on Devil's Island. 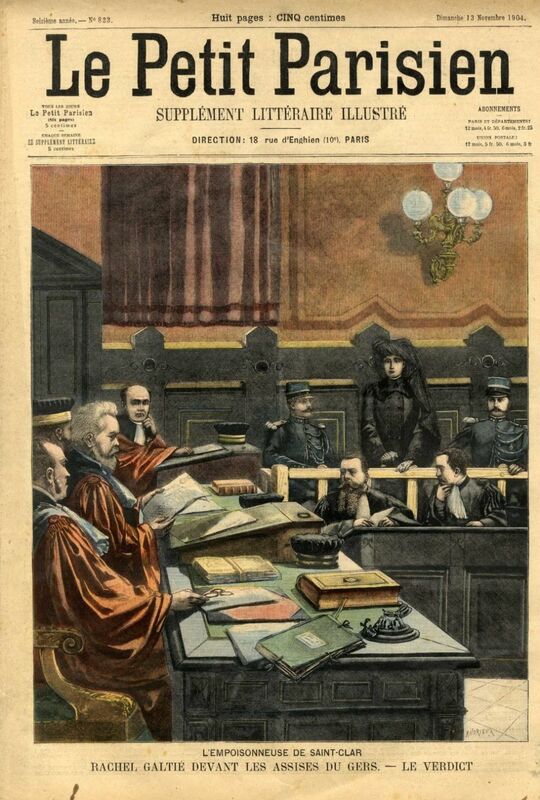 * Le Petit Parisien - from November 13 1904 - from within the courtroom. The photographers were not allowed to photograph inside the courtroom; the public received pictures of what was happening inside the courtroom by work of the best illustrators of the time, which were published by the press.